A Board of Directors consisting of 5 members governs First Nebraska Trust Company. Their experience, knowledge and insight contribute greatly to the quality of services provided to our clients. They contribute to the assurance and review of accounts in all areas including trust administration, investment philosophy and management, and estate settlement. These individuals are dedicated to the success of our company as well as to the Nebraska community. Doug joined First Nebraska Trust Company in 2010 after over 35 years of experience as a practicing estate and business planning attorney in Lincoln. Doug’s specialization in estate planning, probate and business planning enhances the services and expertise of First Nebraska Trust Company. While practicing law, he was recognized annually in “The Best Lawyers in America”, has taught courses on Wills and Trusts as an adjunct professor at the University of Nebraska College of Law, and has spoken extensively at seminars on estate planning and probate issues. As a result of his contributions to the legal profession Doug was the recipient of the Nebraska State Bar Foundation’s award for Distinguished Service to the legal profession. Linda has over 20 years of experience in the financial services industry. She spent a number of years in the insurance industry. Linda served as President for the Union Agency, Inc. Linda has experience serving on several Boards including such Boards as the Foundation for Lincoln Public Schools, Food Bank of Lincoln and Lancaster County, Community Health Charities and the Tabitha Foundation. Linda brings great energy and insight to the Board of Directors. Kent has over 25 years of experience as a practicing attorney in the Lincoln area and is currently a shareholder with Seacrest & Kalkowski, PC, LLO. He practices almost exclusively in the land use, real estate, consensus building and planning areas. Kent is a graduate of the University of California-Santa Cruz. His postgraduate education includes receiving a Juris Doctorate, with high distinction, from the University of Iowa, Iowa City, Iowa where he was a member of Order of the Coif and a Masters Degree with honors from the Urban and Regional Planning Department at the University of Iowa. Kent brings a wealth of knowledge in the real estate and governance areas to our Board of Directors. Tom’s professional career has been as a certified public accountant. As part of Tom’s practice as a CPA he has specialized in financial institution audits, Directors’ Examinations, Bank Secrecy Act reviews, Automatic Clearing House reviews, corporate income tax preparation, and internal controls consulting. In addition to financial institutions, Tom also has industry specialties in tax exempt organizations, small businesses, and construction. Tom has been a regularly featured speaker for various business and industry groups and has authored numerous tax related articles for industry newsletters and nonprofit associations. Tom has performed peer reviews of other CPA firms since 1991 – reporting upon policies, procedures, and controls of their operations. Tom has a long list of community organizations of which he has been or is currently a member and to which he has contributed his leadership talents. Tom’s experience adds additional expertise to our Board of Directors. Steve retired after a 41 year career with the Nebraska Department of Banking & Finance. As a member of the field examination staff, trust examinations were Steve’s primary focus and he was the trust examiner for First Nebraska Trust Company since its start in 1995 and through the 2015 calendar year. His examination duties included safety and soundness, credit evaluation, Bank Secrecy Act and Anti-Money Laundering Act compliance, and Information Technology and Information Security review. While with the Nebraska Department of Banking & Finance, Steve also provided assistance in preparing regulatory rules and regulations. Steve’s knowledge of First Nebraska Trust Company from twenty years as our examiner provides us with invaluable guidance as we continue to move forward and should be especially useful in anticipating and dealing with compliance issues. Steve is an active member of Emmanuel Lutheran Church in York, Nebraska and was a 30 year member of the York Volunteer Fire Department with 19 years as volunteer Chief. First Nebraska Trust Company has been blessed with the guidance and service of several wonderful individuals including the following past Directors that have added so much to the organization. John Guenzel spearheaded the start of First Nebraska Trust Company. His vision was to serve the communities throughout Nebraska as an independent trust company with employee and director ownership which would concentrate its efforts on serving its clients in a customized, personal manner, while also working closely with estate planning attorneys, accountants and other professional advisors. With the necessary regulatory approvals and a location selected on 13th & K Streets, the charter was granted and First Nebraska Trust Company officially began business on December 1, 1995. The mission of First Nebraska Trust Company was established on opening day – to provide outrageously excellent service to a select clientele by focusing on providing trust administration, customized investment management and estate settlement, while working closely with each client’s trusted professional team. On March 15, 2018, we lost our founder, friend and business partner. John Guenzel was a man who was one of the most passionate trust professionals in the industry, and a truly one-of-a-kind person who touched the lives of countless people. John Guenzel will be forever missed, but he shared a part of himself with all. Thanks to John’s forethought and planning, First Nebraska Trust Company will continue to uphold its assurance to its clients to serve families for generations to come. He prepared this organization to continue regardless of his presence, in order to maintain and improve on delivering the highest standard of service, with the best expertise available, in trust, estate, and investment management segments of our industry. First Nebraska Trust Company continues to be ready to serve you and your family as designated now and into the future. John had over 30 years of trust experience; his knowledge was invaluable to First Nebraska Trust Company and its clients. He had a passion for helping clients develop and implement the right plan for their family. John served on the Board of First Nebraska Trust from 1995 until his death in 2017. His strong commitment and leadership is missed by all. He had over 35 years of experience in the financial industry. John was a Lincoln native and a graduate of Lincoln High School. He attended John F. Kennedy College. He was very active in the community and served on the Board of directors for numerous community organizations including the Eastmont Towers Foundation, Christian Retirement Homes and Friends of the Lied. John’s extensive knowledge in the investment area and financial services industry were a true asset for our clients. Alice has had a long and successful career in the banking industry. Having started new banks in Missouri and Nebraska, Alice’s accomplishments are well known throughout the community. In addition to being the first woman bank president in Lincoln or Omaha, Alice has been the first woman to serve the community in many facets including Chair of the State Chamber of Commerce, Chair of the Bryan Memorial Hospital Board and President of the Nebraska Bankers Association. Alice is a graduate of the University of Nebraska Lincoln. Her postgraduate education includes a Masters degree from the University of Nebraska Lincoln, and the Graduate School of Banking at the University of Wisconsin. Alice’s extensive knowledge in the regulatory and banking industries have been invaluable to our First Nebraska Trust Company. Alice served as Board Member from 1995 through 2014. Ross has over 40 years of experience in the banking industry at the National Bank of Commerce, Lincoln State Bank, and US Bank. He also served in the Air Force and the Air National Guard. Ross has been a very active member of the Lincoln community his entire life. He brought extensive knowledge of the industry as well as a strong desire to help clients to our Board of Directors to help guide First Nebraska Trust Company in the delivery of outstanding trust services. 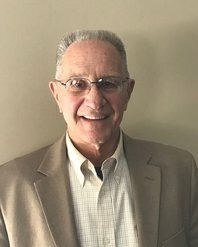 Conrad worked for over 48 years in the financial industry with 43 years specifically in the personal trust industry as Vice President & Trust Officer. He worked for First National Bank – Lincoln and First Nebraska Trust Company in such capacity. Conrad brought great knowledge and expertise to the Board of Directors of First Nebraska Trust along with great support for the mission of First Nebraska Trust in serving the clients and the community. He served in many community and church roles over the past 50 years in Lincoln.